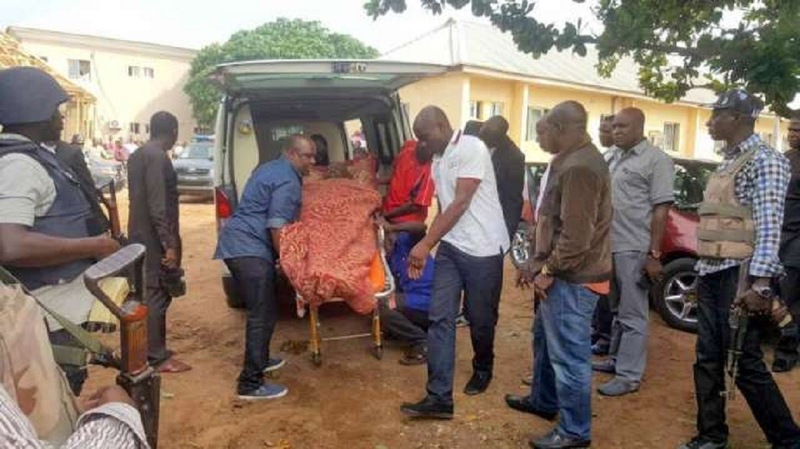 Senator representing Kogi West senatorial district, Dino Melaye On Friday collapsed at the Nigeria Police Force headquarters In Abuja. The lawmaker, who surrendered to the police on Friday, was reportedly rushed to a police clinic in Garki Area 1 of Abuja, after he was arrested and taken to SARS Headquarters. According to Channels Tv, a police officer, who confirmed the incident, said Senator Melaye is currently on bed rest as the police determine their next line of action. According to him, the police’s expectation is that as soon as the lawmaker recovers, he will return to detention. Saga Gist had reported that an Abuja High Court had on Thursday, refused an ex-parte application brought by Melaye, to order the removal of police blockage on his residence. Melaye came out of hiding one day after human rights lawyer, Femi Falana, advised him to surrender. The lawmaker was accused of culpable homicide, an allegation he denied.